This is an interesting example of how an image can change over time — change from the first impression at the time of exposure, then as it settles in, and then still more as the world changes past the still moment. My sense while making the exposure was that this was funny. These monks had just been doing some amazing chanting in Pali under the bodhi tree at Lumbini (they were part of this group). One of them, the subject of the monks’ photography, was obviously highly venerated, maybe the head of the monastery back home, somewhere in southeast Asia. Burma? 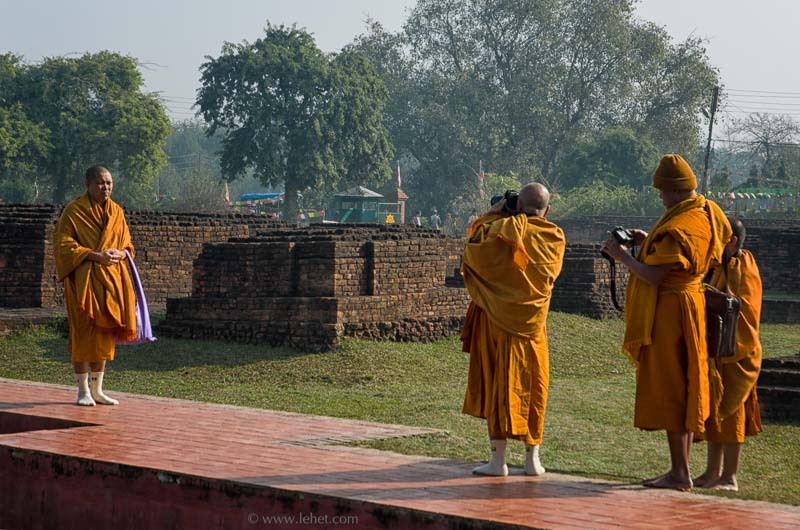 So here were these renunciates, monks of the most ancient and pure lineage of Buddhism, who had just been chanting in a 2300 year old language, and they had some expensive, high-end photography gear; they were being tourists like the rest of us. And of course with the saffron color and scene, it made for a good on- the-fly composition. I guess I thought it was funny in the way nuns on a barstool might be funny. As time passed, out of the context, it seemed less funny to me. Somehow the plain-human quality of the monks started to shine though, and of course plain humans use cameras all the time. Also the composition started to stand up on its own, apart from concept. The origional notion faded into less significance as the photo became its own thing, as they do. Recently, the world was shaken a little bit, at least the Buddhist world, and this photo changed with it, again. Last Sunday the 1500 year old Mahabodhi temple in Bodgaya, India, was bombed in a terror attack. That is the spot where the Buddha found the enlightened quality of his mind 2500 years ago, and now it’s being bombed with IEDs to randomly harm innocent people. 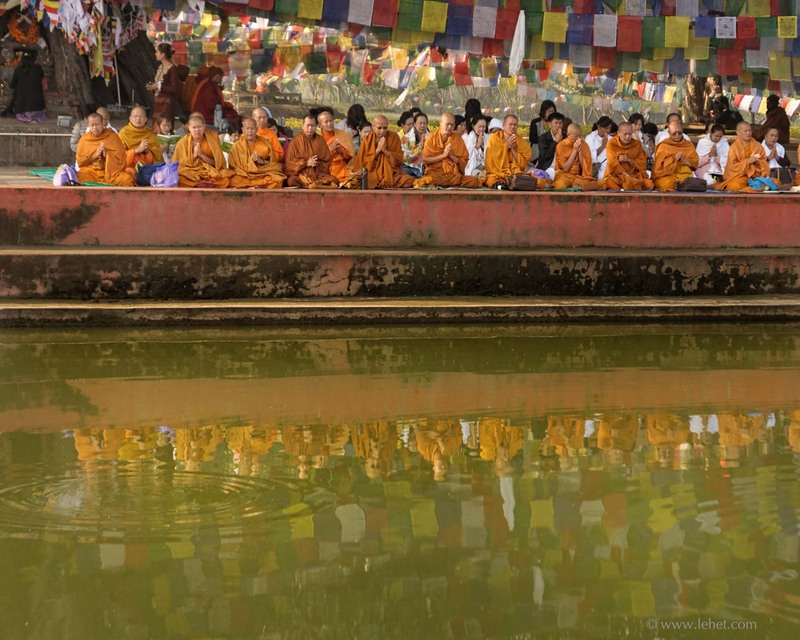 Just as I, and the monks in these photo, were tourists in Lumbini, Nepal, there were people just like us, the monks and I, at Bodgaya, who could have been hurt in the bombings. A few monks were indeed injured. 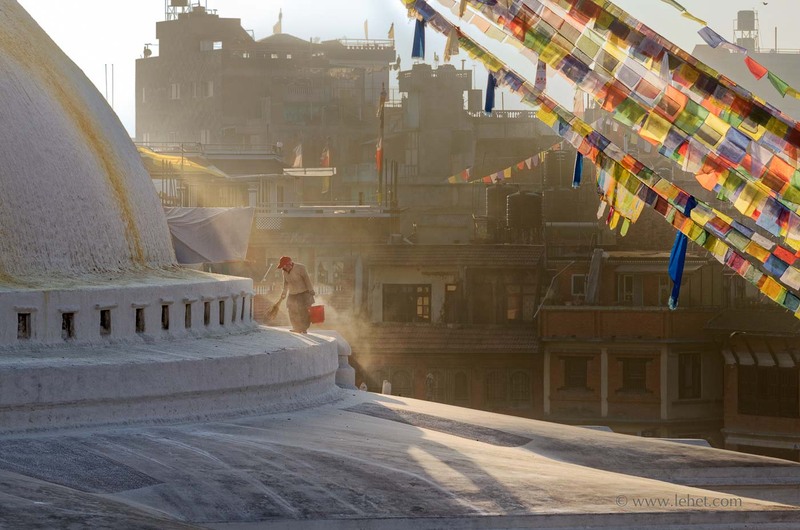 This entry was posted in Buddha, Nepal, travels on July 11, 2013 by john lehet. Well, last week I claimed to not be afraid of a bit of chaos and energy in my photos. I’ll take that a step further with this one. 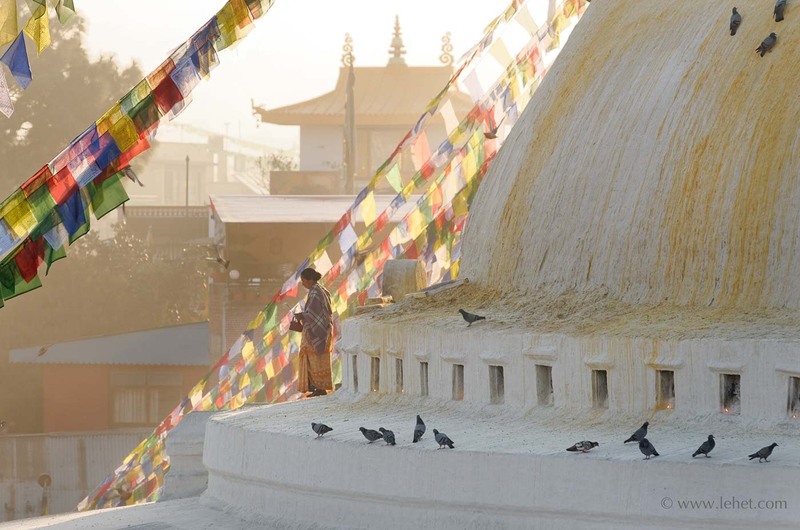 In Nepal in general, I think, and especially at sacred sites, pigeons are not reviled as they are here in the states (“rats with wings,” as they call them in New York). Instead there is some attitude that sharing with them brings good fortune. Here, early this morning, the coffee shop is not open yet, but the pigeon feeding has started in earnest. 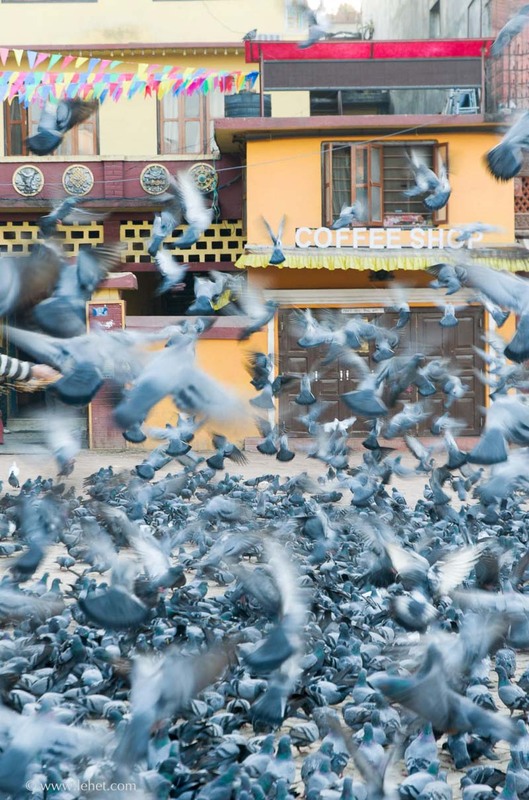 It’s hard to convey the sense of energy and happiness I feel when I’m at this place, Bauddha, Bauddhanath, Nepal, but maybe if you imagine that the pigeons are a blessing, this will begin to convey it. 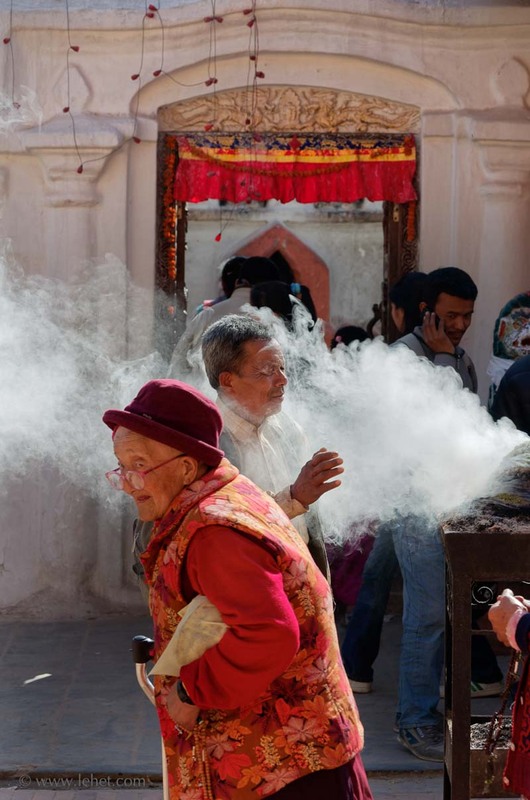 This entry was posted in Buddha, Nepal on May 22, 2013 by john lehet. 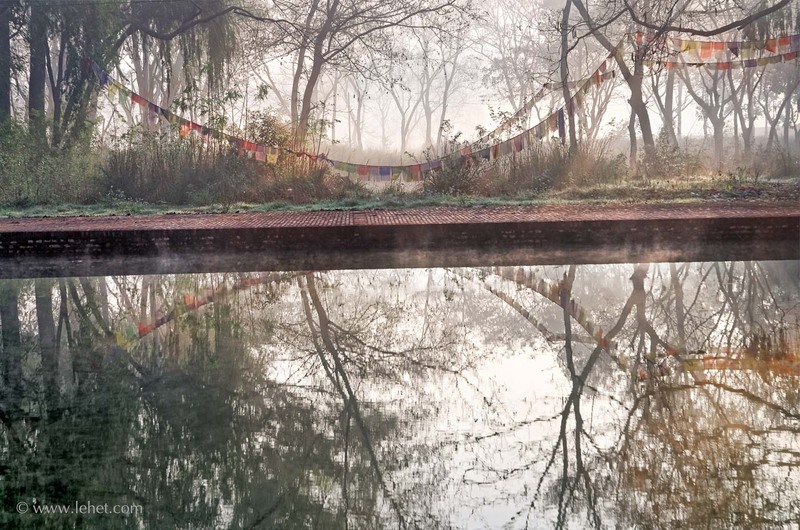 Another dawn, another sacred Buddhist site. This is more of a narrative thematic addition to the blog posts than an image that relates to the recent posts, though I suppose there is some relationship on more than one level. Several levels. 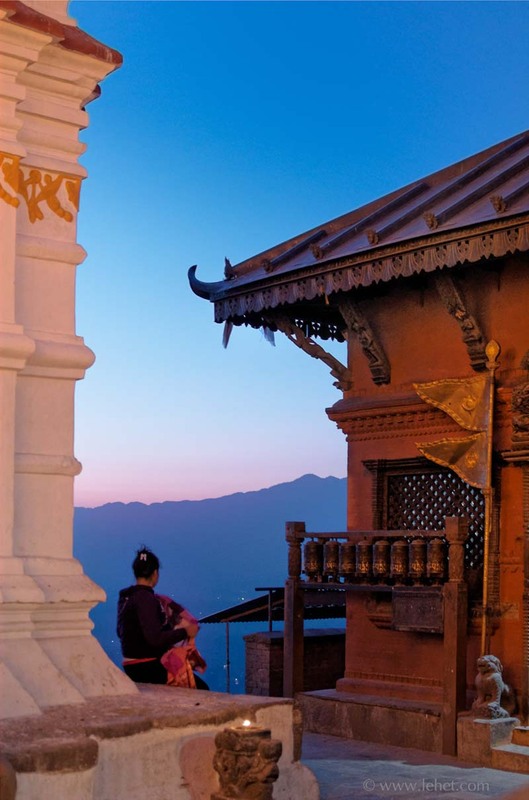 It’s not actually that we set out at dawn every day in our month in Nepal, as one might conclude from recent posts here. In fact it was too rare for us. We mostly stayed with Nepali friends, and the way meals work in Nepal is that “lunch,” or “breakfast” — Dal Bhat by any other name — is a delicious and somewhat elaborate meal mid-morning. Things don’t really get rolling until after that. Our hosts generously cooked some amazing meals for us at that time, and — unless we were already out wandering before that — we stayed around “home” for that. (Thanks Kamal, and all the cooks, and thanks Hari Pal for hosting us in Lumbini). Lumbini, of course, is the Buddha’s birthplace. 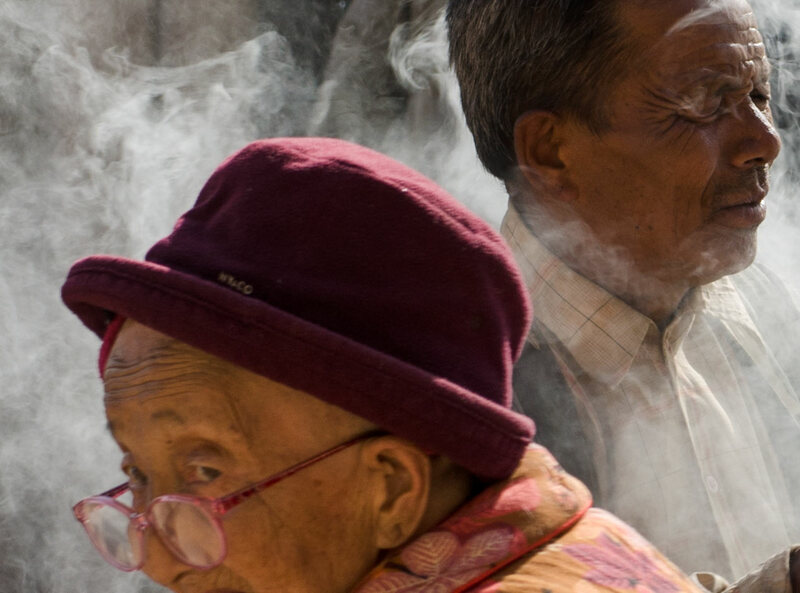 While I didn’t personally feel the power and presence of ages of aware intensity built up in the place — as I did in places like Sechen, Bouddha, Swayambhnath, etc — my own sense of wonder was piqued. The Buddha was here once. Here. That big wave of waking-up that exploded across the lowlands of asia, which then trickled up the mountains evolving and spreading, started right here. And this dawn was beautiful. Actually, except for the big chunk of time we spent wandering around the “wrong” part of the park, lost and hungry during the hot part of the day, it was quite lovely and we were quite happy here. I have a lot more good photos of it. There were some amazing monasteries, monks visiting from all over and in residence. The morning chanting in the garden was beyond amazing. I will have more images from here to post, but there are also other stories to tell. This entry was posted in Buddha, Meditation, Nepal on April 5, 2013 by john lehet.